With the recent release of Made in Place: Small-Scale Manufacturing and Neighborhood Revitalization, a new report from Smart Growth America in partnership with Recast City, we’re spotlighting a few of the standout examples of cities that have fostered a small-scale manufacturing sector to revitalize their local economy. This series will highlight the merits of small-scale manufacturing and how it’s contributing to the character, appeal, and success of smart downtowns in Lowell, MA; Twin Falls, ID; and Knoxville, TN. We begin with Lowell, a former mill town that was once the epicenter of the textile industry. Learn how Lowell transformed its mothballed factories and textile mills into production and shared-use spaces. Lowell, Massachusetts is commonly known as the cradle of the American industrial revolution. This former mill town was once the epicenter of the textile industry and at the forefront of apparel production. The fourth-largest city in Massachusetts, located an hour outside of Boston, Lowell is proud of its manufacturing legacy, but also recognizes the need to modernize their economy. 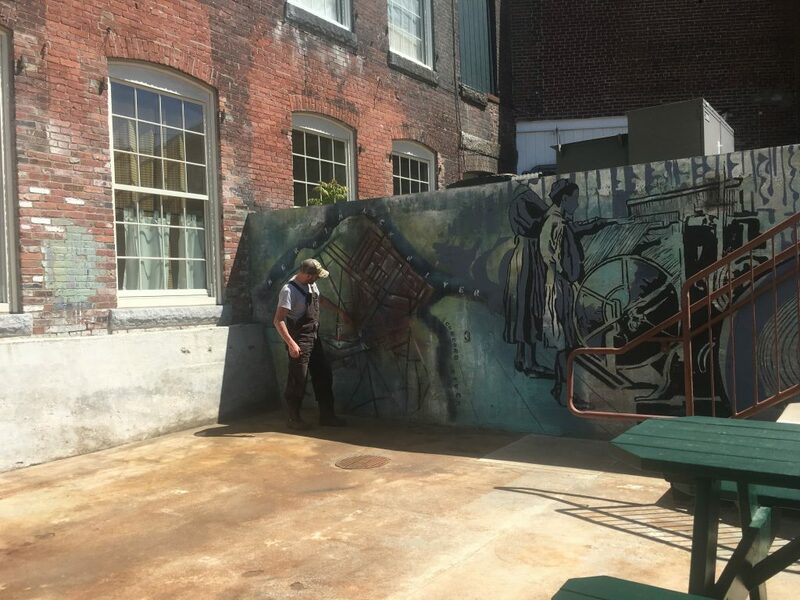 Over the last few years, the city has leveraged its textile traditions to propel cutting-edge economic development strategies, attracting an influx of small-scale businesses to Lowell’s downtown and historic Acre neighborhood. 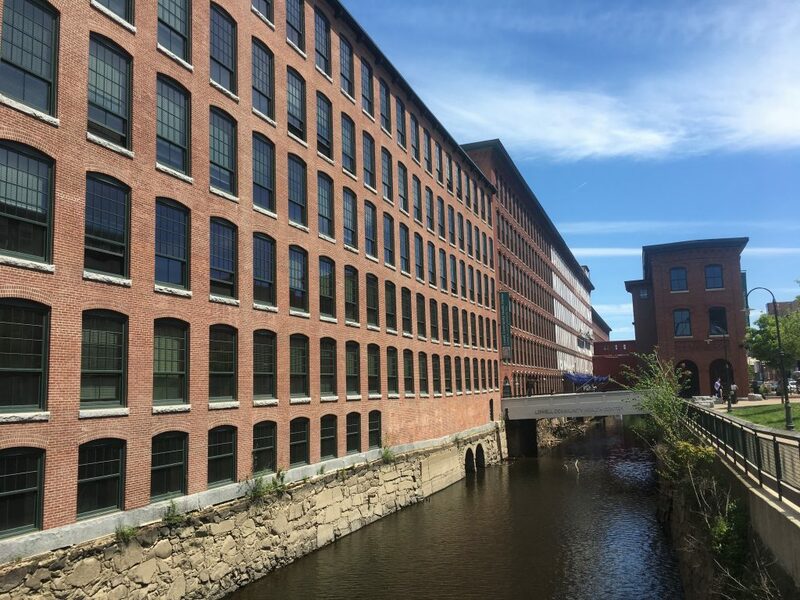 The City of Lowell has encouraged the reuse of its historic buildings by retrofitting mothballed factories and textile mills into production and shared use spaces. This place-based approach to economic development has produced flexible spaces that accommodate growing businesses. These spaces also provide 3D printers, CNC routers (computer-controlled cutting machines), and other advanced machinery that allow businesses to prototype products. Assemble Lab, for example, is one business riding the wave of Lowell’s revival. A resource center for designing apparel, Assemble Lab challenges the typical conceptions of factory work by providing an artistic space for creative entrepreneurs. 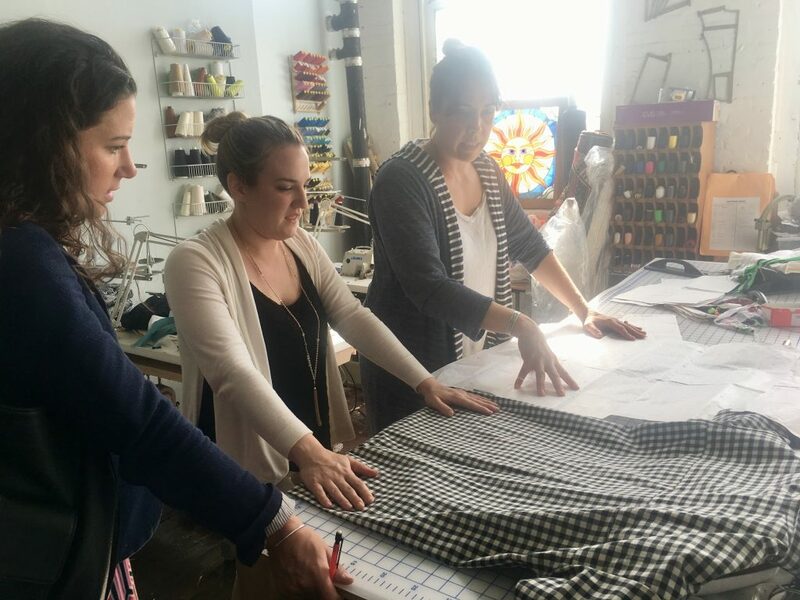 Studio leaders Sharon Drelick, Karen Blumsack, and Sara Breen work with designers to develop a wide range of products and services to include pattern-making, sewing, fabric & trim resources, costing, tech packs, sourcing and production management/consulting. With over 15 years of experience in the fashion industry, Assemble Lab founder Sharon began her career in New York City but is proud to base her own business out of Lowell because of its affordability and close proximity to Boston. Many aspiring business owners face the challenge of finding a space to set up shop. In many cities, outdated zoning codes actually keep small businesses from finding a home and taking part in the community’s economy. At one point, Lowell’s zoning did not support the diverse types of small- and mid-scale industrial spaces that small-scale manufacturers needed. As part of its revitalization efforts, the city revisited its zoning codes to accommodate downtown production spaces; an artist district zoning overlay led to the creation of Western Ave Lofts and Studios, a live/work space for over 300 small-scale manufacturers and artists in a historic fabric mill building. The creation of a close-knit community of over 300 co-working and co-living artists produced a strong sense of creativity that energized the district and the city overall. The Western Avenue Loft’s network of artists and entrepreneurs serves as an invaluable asset. Proximity to burgeoning companies provides opportunities to share resources and learn ways to tackle business development challenges. By locating at the Western Avenue Lofts, Assemble Lab was able to expand their production capabilities by partnering with a neighboring designer. Through sustained engagement and leadership, Lowell created new opportunities for small-scale manufacturers, and the city is not stopping there. To learn more about Lowell’s innovative economic development strategies, check out our recently-released whitepaper, Made in Place: Small-Scale Manufacturing and Neighborhood Revitalization. Smart Growth America currently leads the Small-Scale Manufacturing and Place-Based Economic Development program in partnership with Recast City and funded by the U.S. Economic Development Administration (EDA). This project helps communities improve their small-scale manufacturing sector through strategic land use decisions. This program is an extension of Smart Growth America’s (Re)Building Downtown technical assistance program that helps local governments identify strategies that promote downtown revitalization. These include improving regulations for land use, establishing clear public investment practices, and reforming administrative processes, among others.